The senior resources from Raj InfotechBiz Solutions Pvt. Ltd. have set up many Linux/Open source based labs and executed LAMP (Linux, Apache, Mysql and PHP) software projects/products. 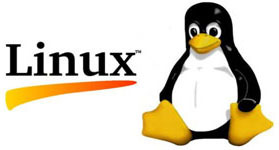 Experienced engineers from Raj InfotechBiz Solutions can help any business organization, non commercial service organization and educational institute to set up Linux/Open source lab in order to save cost on License fees and spread the knowledge of open source technologies. As there is a great demand in IT industry for Software engineers with Linux/Open source skills, this cell would help aspiring students/engineers to take of assignments in these lines of business for better career opportunities. Do you want to know more about this Cell?